BOB GORDON - BOULDER REAL ESTATE! Located just Northwest of Denver, Boulder is nestled against the foothills of the Eastern Rocky Mountain slopes. Known for enjoying 300+ days of sunshine every year, Boulder’s residents embrace a healthy and active lifestyle. With dozens of award winning restaurants, a bustling walking street, and beautiful views from anywhere you stand, Boulder may be your next heaven on Earth. A true Chautauqua treasure! This 4 bed 4 bath home exudes the character of a home built in the 40’s with the openness of today’s homes! Sun filled rooms with large windows bring the outside in.Incredible FLATIRON views!Enjoy Boulder from the outdoor fireplace or the front courtyard.The cleanest garage you have ever seen is 2.5 bays with a dedicated bike storage room.Some of Boulder’s best hiking trails are minutes away. You will enjoy living in this quintessential Boulder home-see for yourself! Brought to you by Bob Gordon, Berkshire Hathaway HomeServices. Call me today at 303-443-3334, or visit my website at www.boulderrealestatenews.com! Fabulous Tudor in the midst of open space, with unobstructed views of the Flatirons. Gated entry, grounds. Main level Master Bedroom and Study/Office near entry. The home is suited for all occasions, two full chef’s kitchens allow for separate menu, wonderful for entertainment and festivities, fully for family , friends, staff. Wonderful bright sunny rooms, views. Formal dining, informal outdoor spaces, great lush lawns and gardens. Step out front door to amazing running and bike trails. Modern & elegant contemporary design on the bike path in sought-after Newlands. ("Foothills Elementary") Built in 2008 on a long/large 1/3 acres. Custom and unique designer details with an open floorplan. Features include custom off-axis pivot front door, Spark dual-sided fireplace, vaulted ceilings, and custom dog wash station/entry. Vast outdoor entertaining area with seamless wide accordion glass entry/transition. Don’t miss this beautiful home in desired North Boulder/Newlands! On Bike path. Mid-century modern flair combines with excellent quality, an exceptional layout, designer features, beautiful finishes, and a fantastic location in one of Boulder’s most desirable neighborhoods. Soaring 14′ ceilings, abundant light, & magazine worthy style. Kitchen kitchen features 4 beautiful timber ceiling beams, large center island, custom cabinet, & Flatirons views from the kitchen sink. Main level features 3 excellent bedrooms, including stunning master with beautiful master bathroom. Experience absolute privacy and luxury both indoors and out just minutes from downtown Boulder on this half acre oasis. Entertain outdoors with the relaxing sound of Gregory Creek running through your lot, celebrate with something from the 400-bottle refrigerated wine room, curl up in the home theater with 100" screen & HD projector or soak in the hot tub off the master bedroom overlooking your huge, natural backyard. This home is a rare jewel in the heart of Boulder that shouldn’t be missed. Enjoy spectacular VIEWS surrounded by Boulder’s finest luxury living! This coveted 3rd story & SW corner unit enjoys the security of The Arete & provides one of the most gorgeous unobstructed views of the Flatirons to be found. Large deck enjoys year-round sun & connects nicely to open floor plan making for fabulous indoor/outdoor entertaining. 3 parking spots. Pearl Street Mall, The St Julien, CU & hiking/biking trails are all right outside your door to enjoy Boulder lifestyle at its best! Pearl Street frontage vacant land opportunity, Services at street. Zoned Industrial Services 1. Partially fenced. Buyer to verify Square footage. Thanks for viewing our properties. If no properties show up or if you are interested in one of those listed, please contact Bob Gordon at Berkshire Hathaway HomeServices. ©2016 BHH Affiliates, LLC. An Independently owned and operated franchise of BHH Affiliates, LLC. 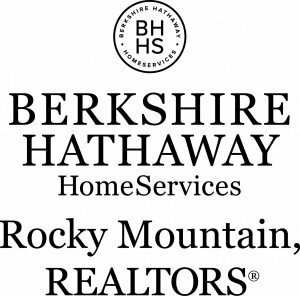 Berkshire Hathaway HomeServices and the Berkshire Hathaway HomeServices symbol are registered service marks of HomeServices of America, Inc ®. Equal Housing Opportunity.